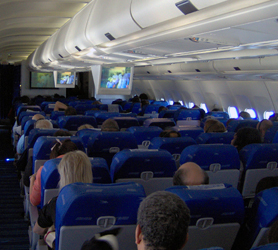 The nearest major airport to Cayo Guillermo is Jardines del Rey International Airport (CCC / MUCC). This airport has international and domestic flights from Cayo Coco, Cuba and is 34 km from the center of Cayo Guillermo, Cuba. 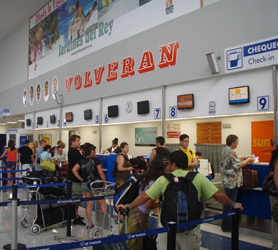 Another major airport is Ignacio Agramonte International Airport (CMW / MUCM), which has international and domestic flights from Camaguey, Cuba and is 229 km from Cayo Guillermo, Cuba. Finally, the Abel Santamaría Airport (SNU / MUSC) has international and domestic flights from Santa Clara, Cuba and is 121 km from Cayo Guillermo, Cuba. Tip: Need a Flight to Cuba? or Need a Cuban Rent a Car near these airports? A Hotel near these Cuba Airports? The mobile phone network coverage in Cayo Guillermo Cuba is very good these days. Some areas of Cayo Guillermo may offer limited coverage, especially out towards Cayo Romano or towards the end of Playa Pilar but, overall it’s good. Unless you use a US mobile operator it’s more than likely that you will be able to use roaming in Cayo Guillermo but this can be expensive. Staying connected in Cuba at a better rate will mean obtaining a Cuba SIM Card throughout your stay. Using cell phones in Cuba and Cayo Guillermo is then much like anywhere else in the world where you can purchase Cubacel prepaid SIM card and use this anywhere in Cuba. You can purchase these prepaid Cuba SIM cards at the offices below and also recharge the phone with credit at these locations. Also, many hotels and stores in Cayo Guillermo offer prepaid recharge cards should you need to do this on the go. 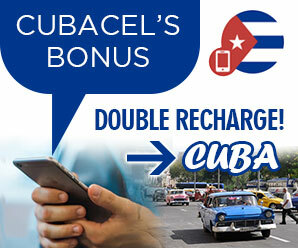 If you have a credit card there are often Cubacel double recharge offers but to obtain these you will need to go on the internet as they are never available directly at Cubacel Offices in Cayo Guillermo Cuba. GPRS, Mobile Internet & 3G connections can also be used in Cayo Guillermo Cuba. Cuba offers mobile internet to cell phone users with almost 100% national coverage but, this is more expensive than you are accustomed to and the network can be slower in Cayo Guillermo Cuba than other countries. If you decide to take your own mobile phone to Cayo Guillermo Cuba, please be aware that it will need to be unlocked and operate on the 900 to 1800 MHz GSM frequency. Almost all mobile phones produced since 2005 are quad band and as such will work but, please check your owner manual to avoid disappointment. 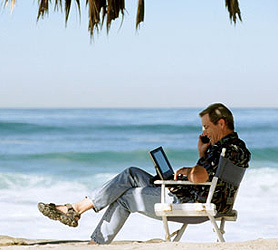 To rent a local Cubacel SIM Card you will need to visit the Cubacel office in Cayo Coco. 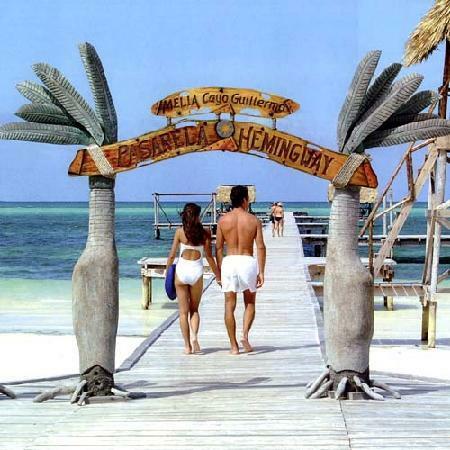 Afterwards you can buy top-up cards at the Melia Cayo Guillermo reception or giftshop. Get to Cayo Guillermo Cuba or visit the surrounding Cuban cities from Cayo Guillermo with your own rent a car. 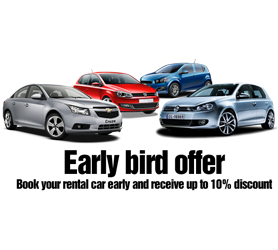 We offer some discounted Cayo Guillermo Car rental offers ranging from economic cars, right up to the latest sport luxury models. 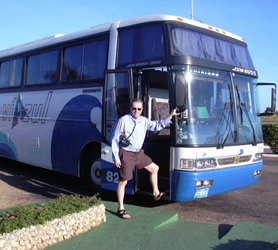 We also provide 7 and 9 seat minivans in Cayo Guillermo Cuba, adapted to suit larger groups or big families. Arranging your Cuba Car Hire in advance is central to your trip and, by comparing our rates and checking availability you’ll be able to find the car to match your exact budget and guarantee it is ready and waiting on the precise day and time you decide. Secure your Cayo Guillermo Car rental with Havanautos, CubaCAR, REX or Via Rent a Car right now to avoid inconveniencies and unnecessary extra costs while you are in Cuba. The Cuba-One-Way® car rental program also caters for those of you who’d like to pick-up your Cuban Rent a car in Cayo Guillermo and return it in another Cuban city or Airport, guaranteeing that your precise itinerary is prearranged in advance. If you search for a convenient “one-price” deal, we offer our FlexiDrive® Cuban Road Trip program. It features both a rental car and hotel voucher to visit any hotel across Cuba within the program, drive at your own pace, without making forward bookings of more than 24 hours in advance and ensuring absolute freedom to discover our beautiful country. The FlexiDrive® package is available from 7 to 30 days, you decide the duration and includes Hotel + Cayo Guillermo Car rental!